If you are searching for spray foam roofing cost in Arizona, this post should help! Furthermore, Paul’s Roofing is the premier spray foam roofing contractor in Phoenix offering spray foam roofing repair, installation and re-coating. If you are interested in receiving an affordable spray foam roofing quote click here. Spray foam roofing is the best type of roofing system for flat roofs. Just about 9 out of 10 flat roof owners in Arizona use spray foam roofing to cover their flat roofs. But how much does spray foam roofing cost? How Much Does Spray Foam Roofing Cost In Arizona? The average residential spray foam roofing cost in Arizona is around $6,300. This is considering that you don’t opt for extra UV ray blockage. Adding on a special UV protection layer will increase the cost by about 30%. 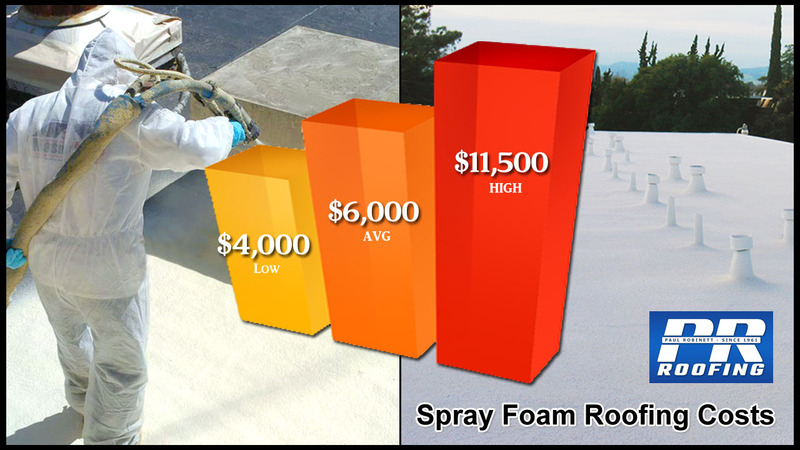 The average commercial spray foam roofing cost in Arizona is around $55,000. This is also considering you don’t add on an extra layer of UV protection. Similar to scenario above, adding this protection layer will increase your installation cost by over $16,500. How Much Does Foam Roof Cost Per Square Foot? The cost of spray foam roofing per sq ft is broken down into two categories: Spray foam material costs and spray foam labor costs. Spray foam roofing is not based on sq. footage, rather, it’s based on the cost per square. Each square is equivalent to 100 sq ft or 10×10 area. So, the cost per square of spray foam roofing is around $275 average. And, since each square is 100 sq ft, you can easily divide that number by 100 to find the single foam roof cost per sq ft which is $2.75. Most roofing contractors will charge you are 2-3 dollars per sq ft to install a spray foam roofing system. You can expect to pay around $4.75-$5.75 per sq ft of foam roofing installed by a professional roofing contractor. Above you see an estimate of around $6,000 to install a spray foam roofing system on your house. But thats only if your home is around 1200 sq ft. Should your sq footage be larger than that, you can expect to pay more for your roofing system. Here is a easy guide that will list the most common sizes of residential properties in Arizona and their total roofing material and installation costs. 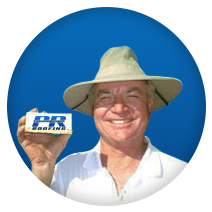 Get a free spray foam roofing estimate in Phoenix by getting in touch with Paul’s Roofing. Paul’s Roofing is the Phoenix Valley’s premier spray foam roofing contractor with years of experience in the roof industry.